“City of Heroes” is the second album from a collaboration between vocalists Michael Kiske and Amanda Somerville. The former is probably best known as the former singer in Helloween and current Unisonic frontman. Somerville is from Michigan in the USA but has been based in Europe for many years, working mainly with symphonic metal bands as a singer or vocal coach. She has performed or recorded with bands such as Epica, Kamelot and Avantasia. 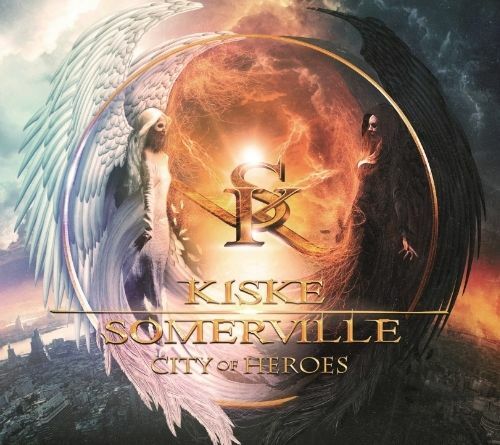 The first, self-titled Kiske / Somerville album was released in 2010 and the follow-up “City of Heroes” is released, again through Frontiers Records, on 17th April. A central driving force behind both Kiske / Somerville albums is Mat Sinner (Primal Fear, Level 10 etc) who co-wrote many of the songs, plays bass and provides backing vocals as well as overseeing production of the albums. The other key figure is his Primal Fear colleague Magnus Karlsson who co-operated with Sinner on writing the songs and plays guitar and keyboards on the album. Drums on the album were recorded by Veronika Lukesova. I’ve already included the two opening tracks “City of Heroes” and “Walk on Water” on the Friday NI Rocks Show playlists. Other favourites would include “Salvation” and “Open Your Eyes”.